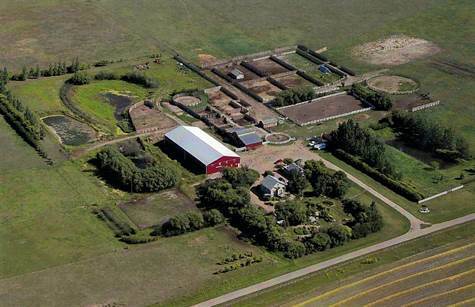 Located 5 miles SW of Langham and less than 20 minutes from Saskatoon is this beautiful equestrian facility on 160 acres. Included is an updated 1945 character home, historic log guest house, 70x160 indoor riding arena, 120x200 outdoor riding arena, hip-roof stable with loft, and a fully developed livestock complex designed from the ground up with proper drainage, fencing, and corrals to support a variety of potential uses. Complete information package available for download.